This is a sponsored post, but all opinions are mine. I've shared previously about Hubby's and my struggles to have a family. It's disheartening to learn that something that seems so natural and easy can be extremely elusive for some couples. While discussion of infertility is becoming more common, there is still a certain amount of sadness and shame that women in particular feel about not being able to easily conceive. Last year, I learned about an over-the-counter fertility device that, if it had been around when I was struggling to conceive, I would have tried. The Stork OTC Home Conception Kit is a clinically proven, promising option for couples or singles trying to conceive. The first and only conception device to meet the U.S. Food and Drug administration's strict requirements and be cleared for over the counter sales without a prescription, The Stork OTC is the product of years of meticulous design and testing. Obviously, it's more fun to make a baby the "natural way," but this isn't always possible for all couples. 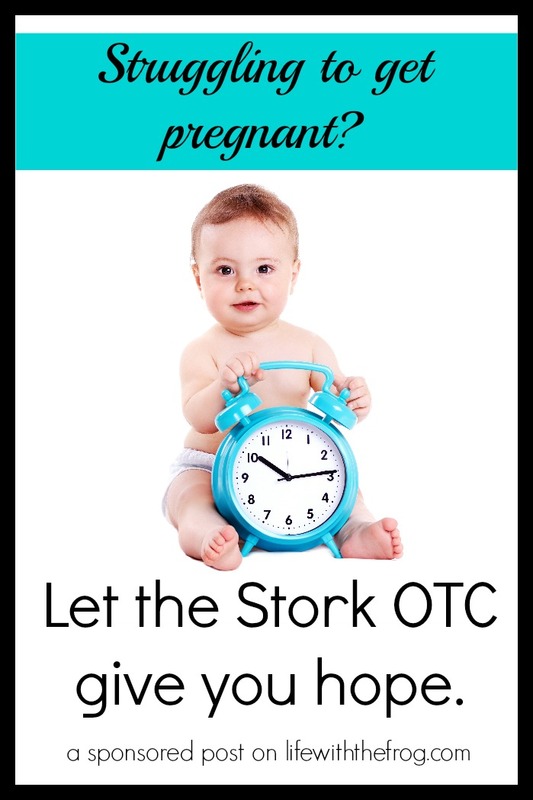 The Stork OTC is specifically designed for in-home use, making it a private, first step in overcoming infertility. The Stork OTC uses cervical cap insemination (CCI), which has a proven success rate of 10-20% (IUI has a success rate of 10-20%). The FDA has cleared the Stork OTC for help with common fertility problems such as sperm motility issues, low sperm count, unfavorable vaginal environment, and unexplained infertility. In an age when reproductive treatment options are largely high-cost and complex, The Stork OTC offers an elegantly simple way to optimize chances for conception, in the privacy of one's own home, and at a price point ($79.99/single-use device) that is far less costly than invasive procedures such as IUI, IVF, etc.--procedures often not covered by insurance and that many simply cannot afford. Hubby and I spent much of our savings on fertility treatments, so I'm happy to bring news of this affordable option to couples and singles trying for a family. Join us in a special one-hour Twitter chat as we discuss tips for conceiving naturally and what you can do when that doesn’t seem to be working. We’ll share information on how The Stork OTC can help in a non-evasive and cost-effective way. During the final chat of this series, you’ll also have a chance to win $25 gift cards to CVS/pharmacy by answering some trivia questions. And as a grand prize, we’ll be giving away a $50 CVS/pharmacy gift card and a trial of The Stork OTC! 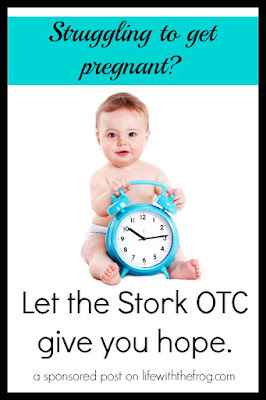 For more information on The Stork OTC, please visit their website. My heart goes out to everyone wishing to start a family. I know firsthand the heartache associated with infertility and what a strain it puts on all aspects of your life. I'm offering one reader a chance to win a Stork OTC kit valued at $79.99. Just comment below with your interest in winning (don't worry, you don't need to share personal information), and I will pick one winner at random by Friday, December 11th. Be on the lookout for the reply notification from Disqus. If the winner doesn't respond in 24 hours, I will pick a new winner. Visit the Stork OTC website for more information on the study results and what The Stork OTC can do for you. The giveaway is over now. The winner is Sarah Anne J.